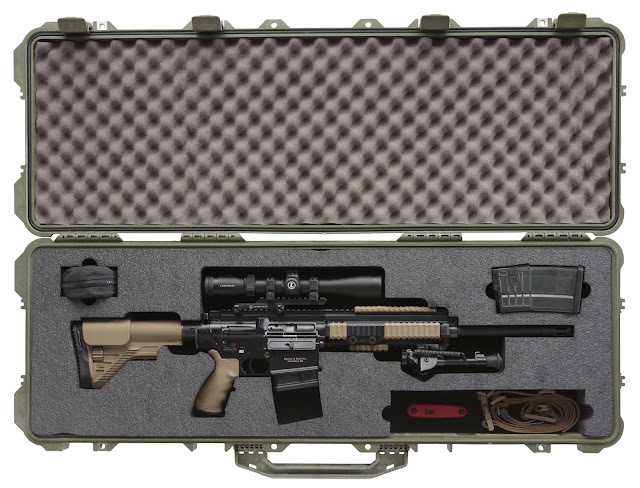 A semi-automatic rifle originally developed from the fully automatic HK417, the MR762A1 LRP employs the same HK proprietary gas piston operating system found on current HK rifles and carbines, using a "pusher" rod in place of the gas tube normally found in AR15/M16/M4-style firearms. The MR762A1 used in the "Long Rifle Package" is being produced with the same commitment to quality as German-made HK firearms. By using joint U.S./ German manufacturing, Heckler & Koch leverages the relative strengths of two continents to make the preeminent AR-type firearms, combining the design innovations of the USA and Germany into superior products.